The itinerary starts from a didactic space that illustrates the Valle del Fiora and introduces the methods of the archaeological research. 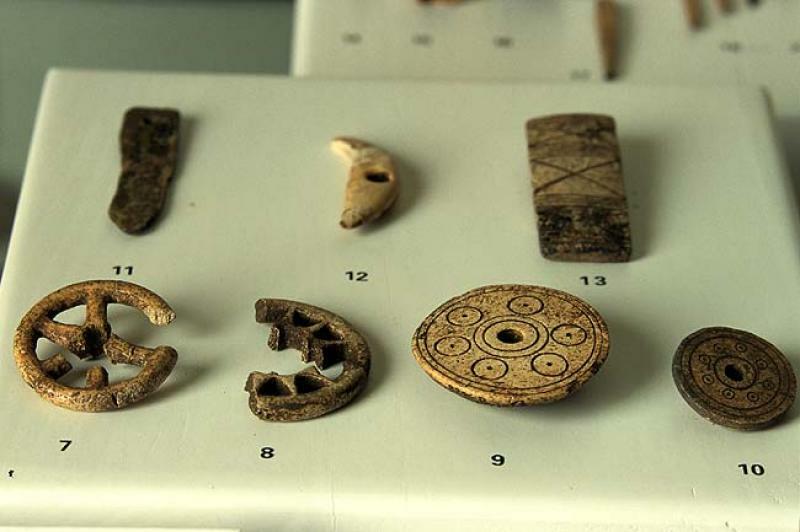 Then it moves to some exhibition units illustrating the area from the Palaeolithic to the final Bronze Age. It hosts the Cicci family’s archaeological collection that includes the Montemerano grave goods and the Poggio Sugherello terracottas. 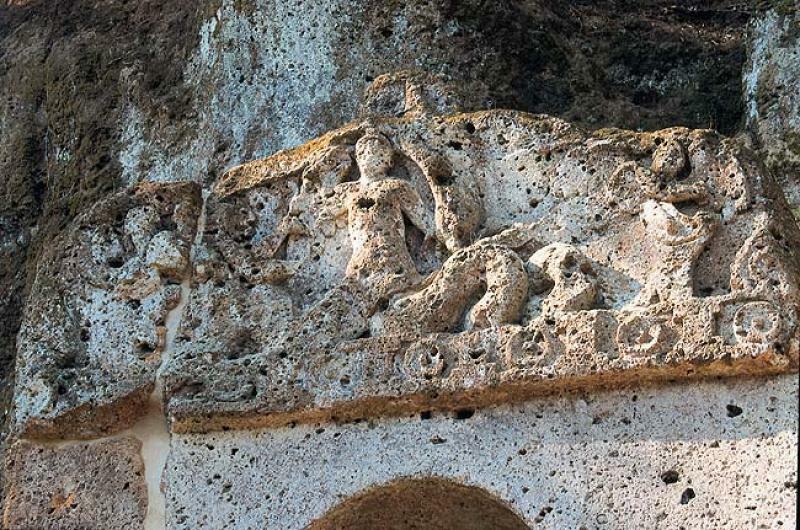 The Sovana and Poggio Buco materials are gifts offered to Ciacci family by local farmers and owners such as the Botro of Pelagone prehistoric finds and the Etruscan-Corinthian oinochoe. 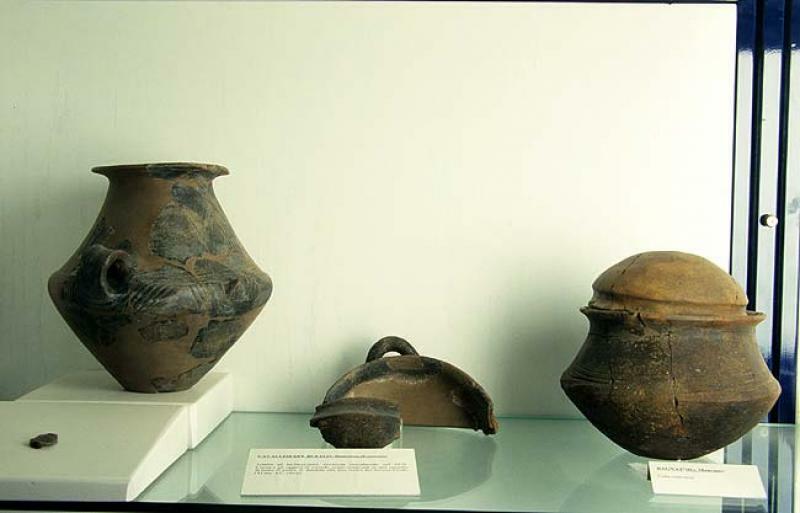 The Vaselli collection consists of a thousand finds coming from Poggio Buco necropolis and includes many Etruscan-Corinthians vessel. You can also see a laboratory-warehouse with the under restoration ceramics. 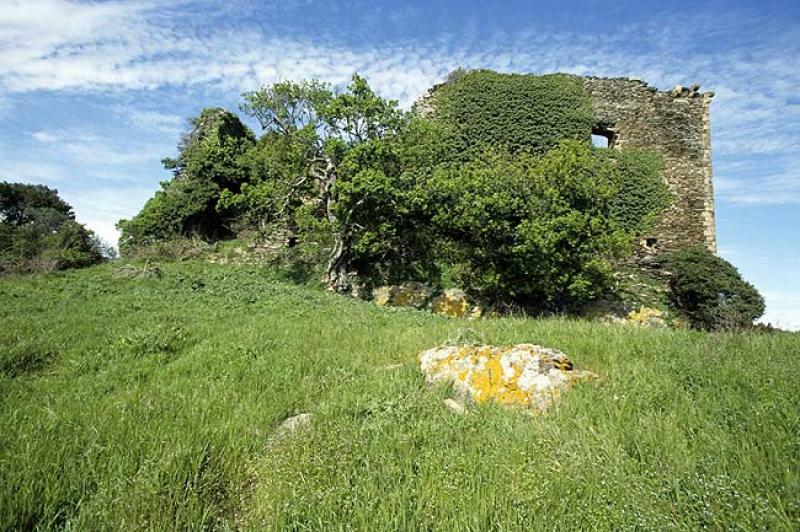 Walking in the “town of the livings” it is possible to reconstruct the different stages of the urban plant from the articulated bronzeaged village to the Etruscan town. 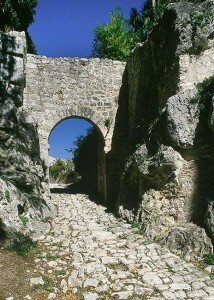 A “Hollow street” leads to the below “town of deads” where you can visit the Gradone necropolis and the “sample” tomb in which the burial of Larth and Velia has been reconstructed. 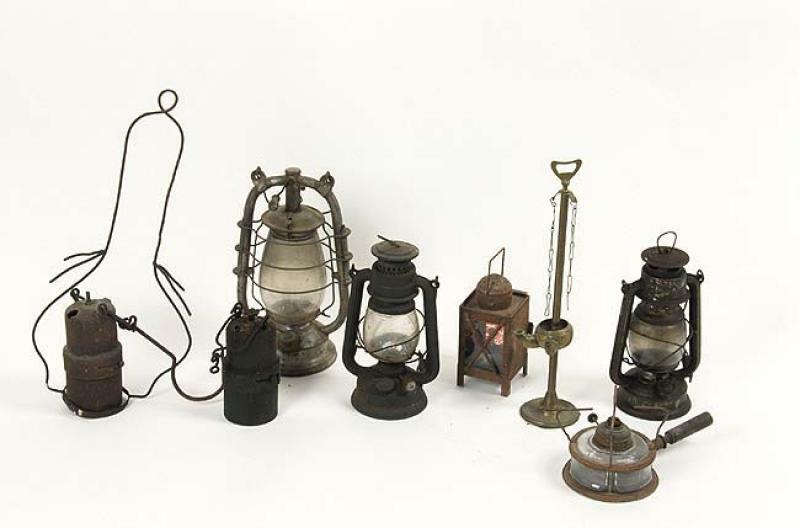 There are exhibit works of jewelry and silverware, coins, wooden sculpture, paintings on canvas and on wood, precious fabrics coming from the main places of worship of the territory. In the hall called “of the little loggias” there is a cycle of frescoes representing the Orsini Counts portraits. You can visit the Synagogue following a charming itinerary through rooms excavated in the tufa where it is testified the Jewish community’s life in its ordinary and ritual aspects: the ritual bath, the cellar, the slaughterhouse, the dry cleaners and the unleavened bread bakery. Outside the town you can visit the Jewish cemetery. It documents the work, traditions and rituals connected to the fire and to the tree on the Amiata Mountain. 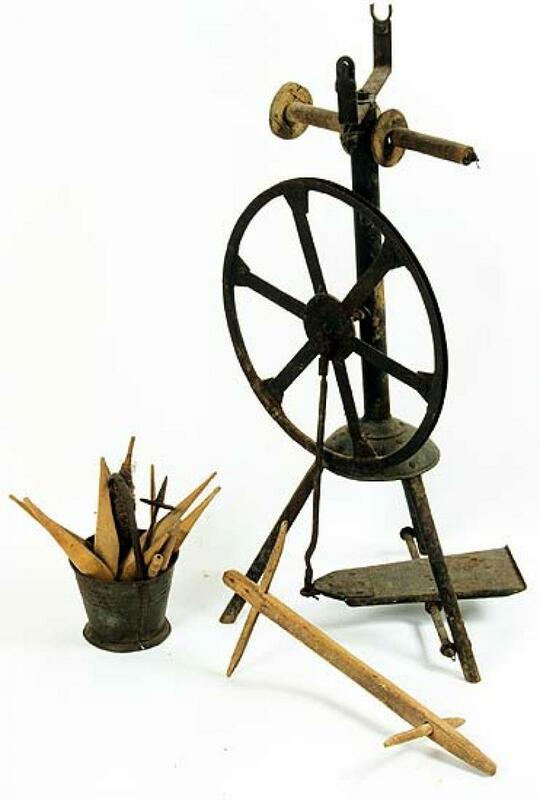 The First section hosts a collection of objects used in working and domestic activities and connected to the cycle of fire; the second focuses on the “stollo”, a long perch that represents the celebration of the “Focarazza”, an ancient rite dedicated to Santa Caterina from Alessandria. Museum of Vine and Wine: In the same Praetorian Palace there is the Grapevine and Wine Museum that shows a product largely exported in the Etruscan and Roman Ages already. History, culture and traditions of the Colli di Maremma fine wines (Morellino di Scansano, Bianco di Pitigliano, Parrina, Ansonica – Costa dell’Argentario, Capalbio, Sovana), but also the chance of tasting in the Museum. It exhibits medieval and Renaissance ceramics both coming from the area and from the so-called medieval “butti” (a sort of wells). It is particularly interesting a small room in the octagonal tower, rich of sixteenth century frescoes. 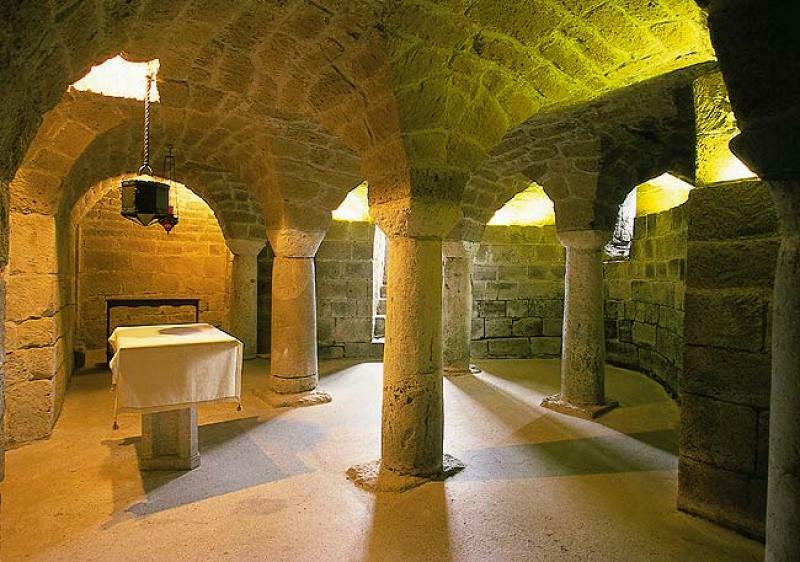 You can visit the fortress underground walkways, an example of the Renaissance military architecture. It offers the visitator an almost intact landscape characterized from picturesque forms of tuff stone reliefs divided by deep valleys rich in vegetation. The park includes the Etruscan necropolis of Sovana with the monumental rupestrian tombs and rupestrian settlements of San Rocco and Vitozza. We suggest to those who wish to visit the Park to make the first stop at the Sovana documentary Centre inside the Palazzo Pretorio. 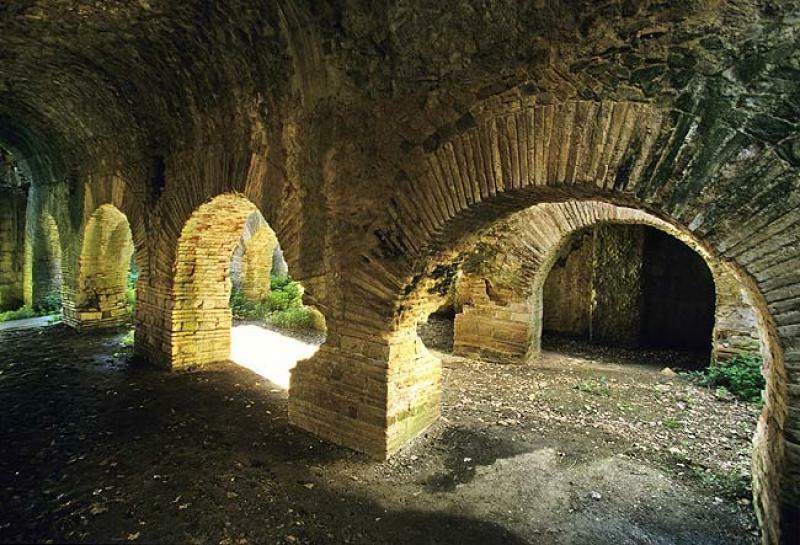 The rupestrian settlement of San Rocco is located on SP 22 two Km away from Sorano on the way to Sovana. At the farthest Northern edge of San Quirico town there is Vitozza, one of the largest rupestrian complex of Tuscany, with more than 200 caves dug in the tuff rock on more levels. AOpen daily except Tuesdays (except holidays).